With more than 50 countries to consider, making a decision about where to go on vacation in Africa can be quite daunting. Africa is incredibly diverse and you can experience different cultures, languages, animals and scenery in each country. The first step to choosing a destination is to decide what you would most like to see and do on your vacation. In this article, we take a look at some of the most popular pastimes for Africa travelers and list the most famous destinations for each one. Once you've decided where you're going, use our helpful trip planning guide to turn your daydreams into a reality. This article was updated by Jessica Macdonald on February 12 2019. For many visitors to Africa, going on safari is a priority. If ticking off the Big Five is important, you should plan on visiting a safari hotspot like Kenya, Tanzania, South Africa or Botswana. To catch the annual Great Migration of wildebeest and zebra, you need to head to Kenya or Tanzania, depending on the time of year. 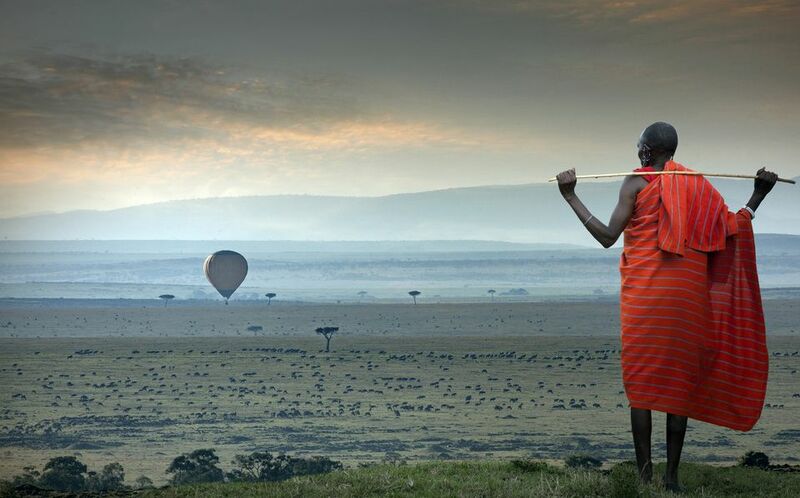 Kenya is home to iconic parks like the Maasai Mara National Reserve and Amboseli National Park. It can be both expensive and crowded in season. Tanzania offers the ultimate safari experience with the Ngorongoro Conservation Area and the Serengeti in the north, as well as the wild beauty of Selous and Ruaha in the south. Botswana is at the luxury end with many exclusive camps offering wonderful game viewing for small groups. Highlights include Chobe National Park and the Okavango Delta. South Africa is great for its wide variety of wildlife especially in the Kruger area, north of Johannesburg. It's also a great option for budget travelers because many parks allow self-drive safaris. There are some malaria-free safari options. Zambia is the best destination for those who want an authentic experience on foot. South Luangwa National P​ark is famous as the birthplace of the walking safari. Rwanda and Uganda are the best destinations if you are interested in tracking mountain gorillas. The African continent has more than its fair share of breathtaking beaches, whether you're drawn to the tropical islands of the Indian Ocean or the surf destinations of South Africa, Morocco and Senegal. Many people choose to combine their time in the bush with a week or two at the coast. Tunisia, Egypt and Morocco have plenty of beach resorts and there are tourist packages available for all budgets. South Africa boasts some of the continent's best beaches. Some are famous for their world-class surf breaks, others are home to resident penguin colonies and others are fashionable places to see and be seen. Tanzania's most famous beach destination is the spice island of Zanzibar but islands like Mnemba, Fanjove and Pemba are also blessed with some perfect stretches of sand. The East African island nations of Mauritius, the Seychelles and Madagascar are great choices for sun worshippers, snorkelers and scuba divers alike. For diving, Egypt's Red Sea ranks among the world's best destinations. Head to scuba hotspots like Marsa Alam, Sharm el-Sheikh and Hurghada. Ghana's western beaches are perfect for backpackers with plenty of budget beachfront guesthouses, friendly fishing villages and laid-back locals. Most African countries have some areas of outstanding natural beauty but there are a few destinations that especially stand out for their natural wonders. Many of these are recognized as UNESCO World Heritage sites and have been enchanting locals and visitors alike since the dawn of time. Victoria Falls straddles the border between Zambia and Zimbabwe and is the world's largest sheet of falling water. You can admire it from designated viewpoints, swim in a pool at the edge of the falls or bungee jump over the river. Namibia's Fish River Canyon is the second-largest canyon in the world after the USA's Grand Canyon and is best explored on a five-day hike. There are many spectacular mountain ranges in Africa but the most famous peak is the continent's tallest, Mount Kilimanjaro. Rising 19,336 feet out of the Tanzanian savannah it's worth a trip even if you don't plan to climb it. The Nile River passes through 11 countries and is the longest river in the world. To experience its scenery and remarkable history for yourself, plan an Egyptian Nile cruise. Finally, Africa's starkly beautiful deserts should not be missed. The best places to enjoy a Saharan camel trek include Tunisia and Morocco. To experience the majestic dunes of the Namib Desert, head to Sossusvlei in Namibia. Africa's wealth of mighty rivers, soaring mountains and game-filled plains make it an adventure seeker's paradise and there are many different ways to get your adrenalin fix. Some, like hot-air ballooning over the Serengeti, are relatively sedate while others are exclusively for the certifiably insane. The Zambezi River plunges through Angola, Namibia, Zambia, Zimbabwe and Mozambique and is the best place for high-octane white-water rafting. Lurking crocodiles add to the thrill. There are plenty of places to try bungee jumping in Africa. The most famous jumps are located on Victoria Falls Bridge and Bloukrans Bridge (in South Africa). The latter is the highest commercial bridge bungee in the world. South Africa is also the place to go if you feel like diving with sharks. You can cage dive with great whites near Cape Town, or dive with tiger sharks and bull sharks (no cage needed) near Durban. The coastal town of Swakopmund is Namibia's adventure capital. Sign up for 4x4 safaris, quad-biking tours and sand-boarding in the nearby Namib Desert. Amazingly, there's even something for snow sports enthusiasts in Africa. Mountain resorts in South Africa, Lesotho and Morocco offer the opportunity to go skiing or snowboarding. If beach holidays and river cruises sound a little too sedentary, consider taking on the challenge of a great African trek. The continent is home to many different mountain ranges, some of which are perfect for scenic hikes while others have peaks that attract serious mountaineers from all over the world. Mount Kilimanjaro is the tallest mountain in Africa and the highest free-standing mountain in the world. It takes approximately a week to hike to the summit but the good news is you can do it without oxygen or special training. Africa's second highest mountain is Mount Kenya. Amateur climbers should aim to summit at Point Lenana while advanced mountaineers can try for the mountain's highest peak, Batian. The High Atlas Mountains in Morocco make up part of the greatest mountain chain in North Africa. There are lots of treks available for all experience levels. South Africa's Drakensberg Mountains are the highest in the country and are known around the world for their spectacular natural beauty and ancient San rock paintings. Treks last anywhere from a few hours to a week or more. For off-the-beaten-path hiking opportunities, head to the Rwenzori Mountains in Uganda or the Simien Mountains in Ethiopia. Of all the continents in the world, Africa is thought to have been inhabited the longest. As a result, it is chock full of fascinating historic sites. Some of these date back to the very beginning of human existence, others relate to the great ancient civilizations and many are connected to the continent's turbulent modern history. To learn about our prehistoric ancestors, visit Oldupai Gorge in Tanzania or the Sterkfontein Caves in South Africa where hominid fossils dating back 3.5 million years have been discovered. Egypt is home to a wealth of ancient sites constructed during the age of the pharaohs. Iconic places to visit include the Pyramids of Giza outside Cairo and the magnificent temples of Luxor and Abu Simbel. Libya is home to some of Africa's finest ancient Greek and Roman ruins. Visit Leptis Magna and the Greek ruins at Cyrene - both are UNESCO World Heritage Sites and as there's very rarely a crowd, you may have the whole site to yourself. For medieval Islamic architecture including ornate mosques and monumental gateways, Morrocan imperial cities like Fez and Marrakesh are hard to beat. The Great Zimbabwe Ruins in Zimbabwe offer an insight into the great African civilizations of the Middle Ages. Ethiopia is filled with living Orthodox Christian sites including the famous rock-cut churches of Lalibela. If you're more interested in Africa's recent history, sign up for a slave trade tour in West Africa or visit South African apartheid sites such as Robben Island, District Six or the Apartheid Museum in Johannesburg. Of course, the people who inhabit the African continent today are just as interesting and one of the most rewarding aspects of your trip will be getting to know them. Your experience of local cultures could be anything from sharing survival know-how with San bushmen in Botswana to partying alongside Nigerian fashionistas in Lagos. Spend the night under the stars in a traditional Bedouin camp while trekking through the Sahara Desert in Morocco. In Kenya, learn about local customs with a visit to a rural Maasai or Samburu village. You may have the opportunity to witness traditional tribal dances, sample native cuisine or sit in on a class at the local school. Township tours to informal settlements like Soweto or Khayelitsha in South Africa provide an insight into the lives of the country's poorest people while also giving you the chance to meet some inspiring local entrepreneurs. Music, art and other cultural festivals are a great way to immerse yourself in local culture. Check out some of the continent's best annual events here. To experience a country's culture in a more meaningful way, consider volunteering on a humanitarian, environmental or conservation project. There are countless options to choose from lasting from a week or two to several months.